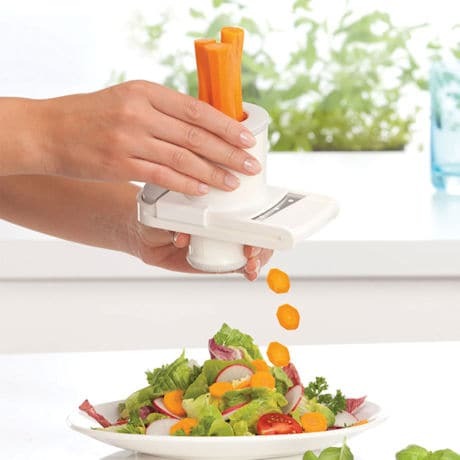 Evenly cut veggies in salad and more with the Comfort Vegetable Slicer. 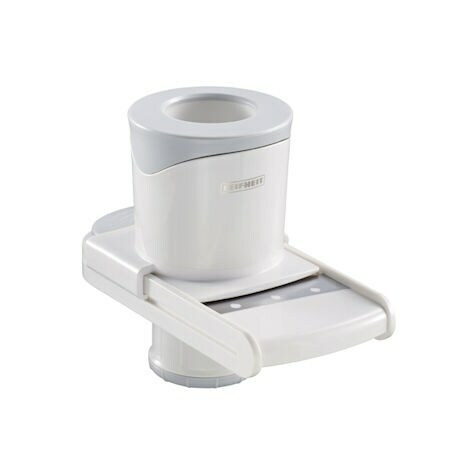 This handheld slicer features a rotating dial to maintain slice thickness. 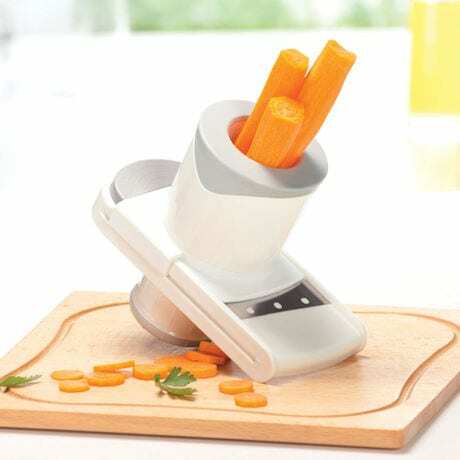 Adjustable chamber size accommodates large and small vegetables - you can even cut multiple carrots at once! 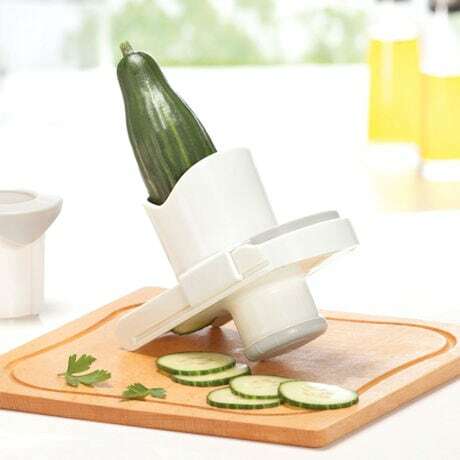 Blade stays away from fingers yet slices directly into saucepans and salad bowls saving dishes. Save Time! Dishwasher safe.